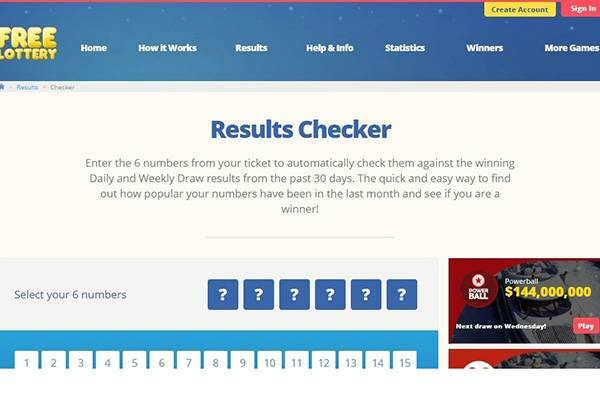 Free Lottery - 1.Pick numbers 2.enter details 3.enter the daily draw for free! 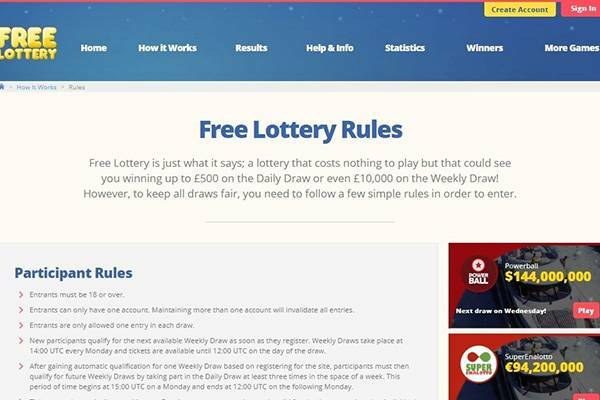 The relatively plain lottery website – Free Lottery – offers free of charge daily and weekly draws of its lottery draw. Important to mention that this website is not regulated by any gambling commission which means no one will watch your back that the operation is running 100% legit on the back end of the website. The user experience is quite smooth on both desktop and mobile. However the trust score this website gains paints our experience with a relatively bad score. 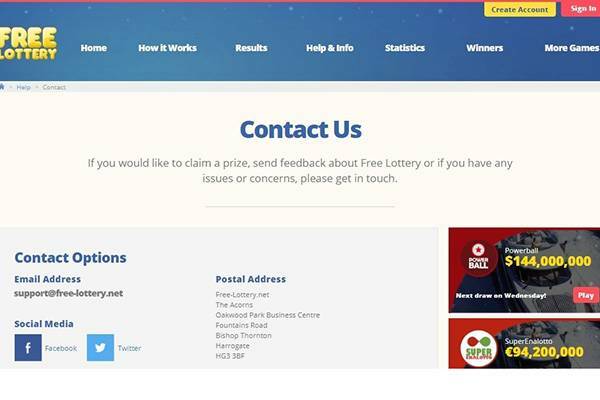 Free-Lottery secures the site with an SSL certificate. However, it is not regulated, nor government licensed and supervised. 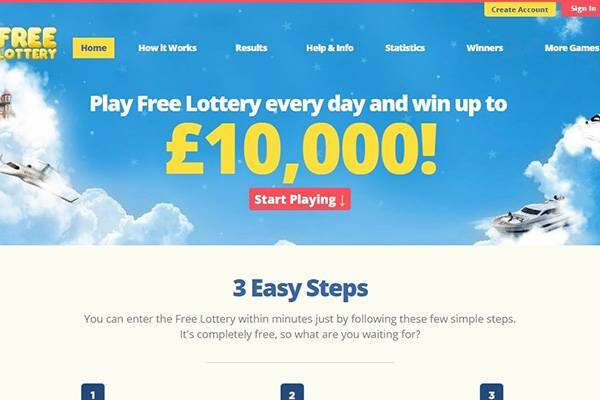 Free Lottery doesn’t excel in this area, its a pretty basic website that offers only the Quick Pick functionality – An auto-fill feature that randomly picks line’s numbers. No subscription offer is available on site. 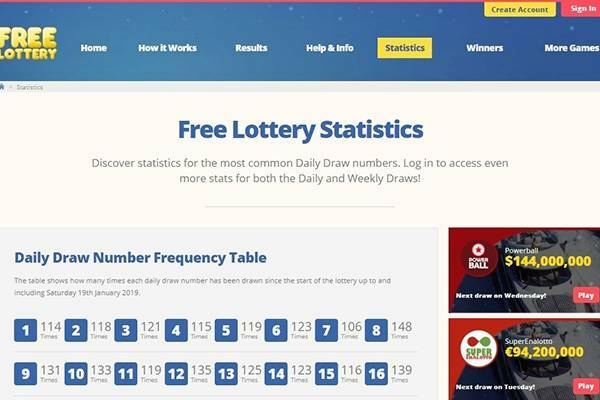 Besides this basic functionality, you can check number statistics to help you pick your lucky numbers based on previous draws. You can also find an extensive FAQ page and a winners section that has some success stories. Free Lottery offers its free lottery product with single and weekly draws, so if you’re a big lottery fan that wants to take a shot at the biggest jackpots like US Powerball and Mega Millions that’s not the place for you. You can see across the site promotions to participate in those great jackpots. However, a quick look at them will show the service redirects you to a completely different website. Free Lottery is a free service, so no payment methods are supported, nor needed to enjoy the service. 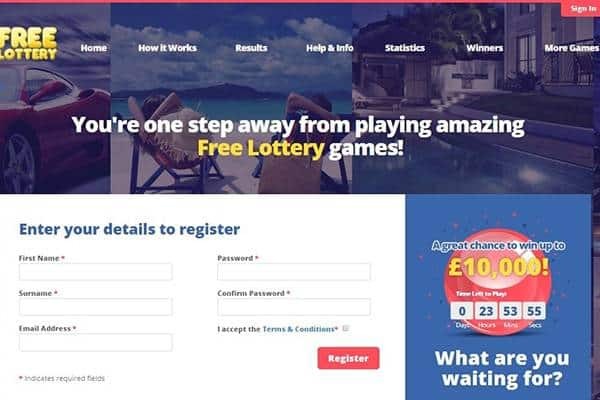 Despite the fact the website is free to use and not require any payment methods, most chances are when you give your personal details and permissions to FREE LOTTERY, they will spam you heavily with all sorts of ads that Free Lottery must send to cover the prizes cost. Besides that, Free Lottery doesn’t offer you to participate in the world’s biggest lotteries, so your options as a lottery fan are quite limited to this website.